Since the early days of America's Wild West when homesteaders competed in land lotteries, the allure of owning your own piece of property has never wavered. 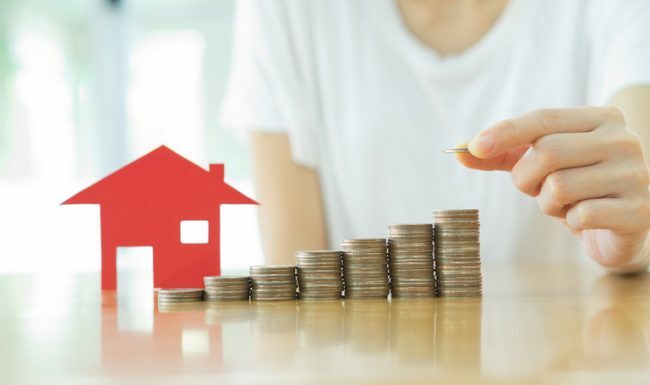 Real estate investing is not just one of the most glamorous investment vehicles today, but according to Entrepreneur, if done right it can also be one of the most profitable. Of course, as with most big goals in life, this is often harder to achieve than it sounds. From narrowing down your property options to picking a geographic area to invest in to figuring out how to fund your initial investment, there are many things to think through before making your first real estate investment. In this post, learn about three real estate investments that can reliably produce good returns. For the purposes of real estate investing, a multi-family building can be anything from a simple duplex with a shared wall to a full-on multi-story apartment complex complete with parking garage and onsite amenities. The key here is that you have multiple potential income streams from a single piece of rental property. As one multi-family building investor tells Business Insider, "the more doors, the better." With a multi-family property, you can be making money even if one or two units lie vacant for a month or two, whether due to maintenance needs or just a temporarily sluggish rental market. With this type of real estate investment, here again you see a multi-unit concept, but instead of renting to singles, couples or families on the residential side, you will be renting space to solopreneurs, partnerships and corporations on the commercial side. As My Stock Market Basics points out, you may earn less per unit on commercial property rental income than you would with multi-unit residential property rental income, but in exchange you will devote less time, effort and energy (not to mention money for repairs and maintenance) by investing in commercial property. If you have the equity to get into the commercial real estate market in a growth area, you can be earning a stable return on investment without many of the typical headaches of dealing with tenants on the residential side of the real estate market. If for some reason you are not keen to invest the sweat equity into commercial or residential real property, you can still deal yourself into the real estate investment market by participating in real estate funds. These funds work much like mutual funds do, using trusts or crowdfunding to help a group of real estate investors acquire an interest in residential or commercial property without the headaches that can come from outright ownership and day-to-day management. - Real Estate Investment Trusts (REITs). REITs offer hands-off investing with dependable dividend payouts at 90 percent of the fund's taxable income. - Peer to peer (P2P) lending. Often called crowdfunding, P2P lending gets you into the real estate investment market for a low initial investment and a potentially high (5 to 12 percent) return. - Dividend stocks. Look for "dividend aristocrat" stocks, which are so-labeled because they pay increasingly greater dividends from one year to the next. - Index funds. These are mutual funds tied to the real estate market index. With these three options to choose from, you are likely to find a real estate investing entry point that works for your budget, available time and goals. The best thing about investing into real estate is that there really is no one "right" or "wrong" strategy to use that can guarantee success. Rather, by doing your research, planning carefully and always aiming to operate from a cash surplus, you can set yourself up for ultimate success. Thanks for sharing such great article with us. Residential multi-family and Commercial multi-unit office space are certainly great options for real estate investments while practicing real estate funds is an easier way to earn on real estate. I totally agree with what you mentioned.